Short post: RBS has taken very few charges on its HELOC buiness. I have pointed out that - at least for some houses the price has fallen to near-zero - and the HELOCs are worthless. This is true for about half of Detroit (an area laden with Charter One branch originated HELOCs). For the first four months of this year, home sales in Detroit, excluding suburbs, totaled 3,360, up 48% from a year earlier, according to the Michigan Association of Realtors. The average price dropped 56% to just $20,514. That average is so low because many of the sales involve decrepit homes in neighborhoods with few jobs. Does anyone believe - even remotely - that Fred Goodwin or Larry Fish have an iota of credibility? Advice to the board: terminate them for cause. Then resign yourself. Forgive me for a non-stock post. But it will cover the dubious goings on off Wall Street - and is fun. A while back I went looking for a new name for a fund. In passing I came accross New World Capital Management - the most intriguing hedge fund you have never heard of. The fund was run by someone who called themselves Greg Duran - and who hailed from New Mexico. In both cases you should click for more detail - just to show how truly extraordinary these returns are. 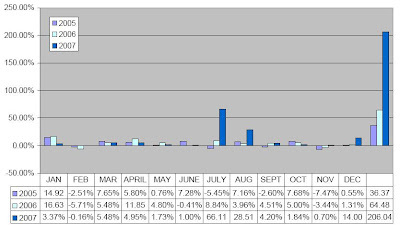 In July 2007 the multi-currency fund claims to have scored a 66% month. It is sometimes said there is never just one cockroach. But the first cockroach I found was a doozy. 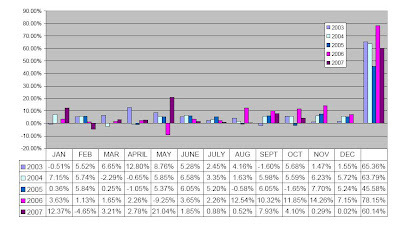 The annual returns in this table are not consistent with the monthly returns! In particular the monthly returns in the 2007 currency fund compound to more then the stated annual return. Similar mathematical errors exist throughout their documentation. Given the very attractive returns listed I figured maybe I could give up the game altogether and put my money with Mr Duran. But of course I would need to do some due diligence. Mr Duran made this fairly easy. His literature listed (for the currency fund) the Prime Broker as Ikon Global Markets, the auditor as Spicer Jeffries LLC, the legal council as Pillsbury Winthrop Shaw Pittman. As a basic due diligence I thought that I would approach these firms. In particular the auditor is expected to stand behind the accounts that they sign - so they would be good people to approach. Thank you for contacting us regarding this situation. As per our privacy rules, we cannot disclose details regarding client’s of the firm unless directed by the client. IKON is a prime broker for FX trading and acts as a counterparty for FX trades. In this capacity, we do not endorse, verify or audit the returns or claims of any client (individual or fund). 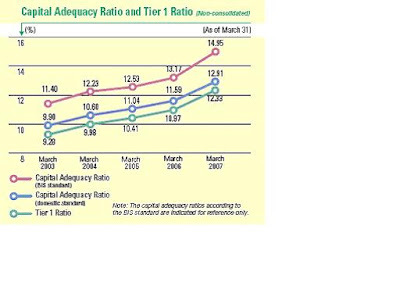 If the fund is rated, then you can research their results through the rating agency. You can also ask to speak to their auditor, legal advisor or request further information. I am sorry we cannot be for further assistance and I recommend that you do thorough research and due diligence before you select any money manager. I would have assumed that an auditor would want to protect the integrity of the statement "audited by us" and called the police. No such luck. I think they were interested in protecting a potential client. I started the fund in 2005 with myself and two small investors. We built up a track record up till April of 2007, when we launched the fund LP. We started taking clients accounts in November of 2007. In November of 2007, we hired on Spicer Jeffries to do our audits. Because it is an LP, we have a choice of whether to do an audit at the end of the 2008 or do an audit now. We are in the midst of getting feedback from our current investor base to determine if they want to wait to do the audit or, if they want to do it now. The investor pool has to decide since they are paying for the audit. Now, we started a relationship with Dranger Capital, whom is our CTA and who also gave us notice to the contact you had with IKON's Manager so that they can speak on our behalf. The plot is thickening here. Note this email has him starting the fund in 2005. He gives (above) records for the 2003 and 2004 years. Peculiar. Indeed Quick quotes Duran more than once. Lazyness is the nicest explanation I have - though I rang Bob Quick up and suggested to him that - just perhaps - Greg Duran was the local story. There was no follow up. I do not know how many people were suckered by New World - but one New York based fund-of-hedge-funds gave him money. They were kind of embarrassed when I spelt out the problems. I do not know whether they have recovered some or all of their funds. Duran quite quickly realised I was doing a proper due-diligence - and he realised that maybe New World was not a "good fit [for me]". I do not know anyone else who was suckered. Their website has now gone dead. The phone number that they gave me now rings through to someone called "Dranger Capital". Dranger Capital might be a legitimate operation - but they woud hate to know that the number of New World is being forwarded to them. I didn't just tip off Bob Quick. I went to journalists with some leading publications. I copied full details to the SEC and to the New Mexico AG. Nothing seems to have happened. Due diligence - just a little digging - will save you most errors. Just because it is not prosecuted doesn't mean its not fraudulent. If you can't verify you should not put your money there. The website may be gone. The phone may ring to a new venture. But you can still see their logo here. Full disclosure: this is for amusement only. Had the fund checked out I would have given them some money. But it didn't check out and that was that. My main interest here is how easy it appears to get away with it. Unless that is changed then the capital markets will remain unsafe and deserve lower valuations. St George Bank is the number 5 bank in my home country (Australia). It is currently subject to an all-stock offer by Westpac - but if you were an American you might wonder why you would want it. After all - St George is probably the only bank in the English speaking world which still advertises zero-downpayment mortgages on TV. Here is the description from their website. Note that St George will "sell" you a zero-down mortgage to buy vacant land. I do not think Indy Mac or Countrywide allowed that. Again you should read the small print. This is not a normal amortizing low-doc. Its a low doc line of credit. So can someone please explain to me again why Westpac is so keen to buy this bank? I don't get it. There is no big problem in the Australian mortgage market - so maybe this is just June 2006 redux. But Westpac buying St George smells awfully like Wachovia buying Golden West. Full disclosure: No position in any stock mentioned. The biggest bank in the world is Royal Bank of Scotland. Double-take. Hold your breath. Think that John Hempton has lost his mind. A mere ten years ago RBS was a regional Scottish bank. Then Sir Fred Goodwin came along. He almost never saw an acquisition he did not like. And now RBS is the biggest bank in the world. It is not the largest market cap in the world. It is not the largest shareholder equity in the world. But it is by far the biggest bank in the world by assets. By assets – the total assets (meaning loans and other things) on the balance sheet is the real test of how big and important a bank is. Big banks lend more and get their fingers in more pies (and borrow more) and thus have big balance sheets. At year end – translated to USD at year end exchange rates – RBS total balance sheet footings were USD3.8 trillion. Citigroup – a mere bagatelle – was “only” USD2.2 trillion. The putative Japanese giant (MUFJ) was only USD1.9 trillion. Admittedly RBS consolidated the interests of Santander and Fortis in the ABN Amro acquisition – but even net of those minorities RBS remains the biggest balance sheet in the world. In times of a credit crisis – when seemingly safe AAA rated assets are defaulting – big balance sheets are likely to have big problems. They do – and the stock price is telling you. RBS stock is startlingly weak. The company however seem to believe everything is fine – and only miniscule charges have been taken. The management of RBS are delusional. Utterly delusional. They are sitting on big losses. They are wilfully blind. The CEO should be sacked for cause – and denied his retirement benefits. The board is ineffective and unable to control the charismatic CEO. They should also resign. This blog is going to detail little bits of RBS’s accounts – spelling out just how delusional the management team is. A death watch for Sir Fred Goodwin – the worst CEO of any big bank anywhere. Lurking in RBS Citizens is a home-equity line of credit business. This was largely acquired with Charter One. Charter One aggressively opened banks in under-served neighbourhoods - garnering previously unbanked or lightly banked clients. Those neigbourhoods were unbanked for a reason. They weren't exactly rich. The bank orginated (and still originates) HELOCs out of those branches. It has (and you will need to follow the statutory filings to their source data at the FDIC) 11.0 billion of mortgages secured by second liens and 9.3 billion of HELOCs (as at year end 2007). They are still originating them and to date their provisions against them are trivial. The management still think this is good business. This is however arguably one of the worst HELOC businesses out there. It was aquired with Charter One. I will play a game with you. Lets follow this link and buy some houses. In Toledo the houses don't cost much. Now lets look where RBS is originating the loans. Here is a Google Map of the location of Charter One branches in Toledo. The overlap gets worse when you follow individual houses for sale under $1000 and the location of Charter One branches that originate HELOCs. Am I being unfair picking Toledo? After all Toledo is where the bankrupt auto parts company (Dana) has its operations. Not really - I could pick Akron or outer Cincinnati, or Detroit or any other city that Charter One was big in. So where is RBS on all this? Answer: delusional. They have taken no charges and all the goodwill from the Charter One acquisition remains on RBS's balance sheet unimpaired. You work out what planet he is on. It is hardly the same one as me. And Fish is no lightweight. He is an executive direcctor on the board of the biggest bank in the world - the parent board. Disclosure: RBS is big, problematic and cheap. I am neither short nor long. Because it is so big and so cheap it looks a little like buying Citigroup in 1992. I would prefer be long than short. However with this delusional management team in place – I am just watching (and blogging) from the sidelines. 77 Bank is a regional bank in Sendai (the capital of Miyagi prefecture). The Japanese guys I know think of Sendai as a backwater – a place where the “cool guys” hang out on motorcycles wearing purple clothes. Economically it is just another rapidly aging backwater where the young (other than those that hang out on motor cycles wearing purple clothes) are moving to Tokyo. The name 77 Bank harks to tradition. During the Meiji restoration the Emperor gave out numbered bank charters. Traditional regional banks still label themselves by the number. www.77.co.jp and many other numbered sites belong to banks. 77 Bank has a very large market share (near 50%) in Sendai. The market is more concentrated that the great oligopoly banking markets of Canada, Australia, Sweden etc. It should be profitable – but isn’t. (click for a more detailed view). Note that it has USD42.6 billion in deposits. This compares to $35.8 billion for Zions Bancorp – as close to an American equivalent as I can find. 77 only has USD26.4 billion in loans though. If you take out the low margin quasi-government loans it probably has only USD20 billion in loans. This bank seems to be very good at taking deposits – but can’t seem to lend money. This is typical in regional Japan. It is also a problem – because when interest rates are (effectively) zero the value of a deposit franchise is also effectively zero. So – guess what. It sits there – just sits – with huge yen securities (yields of about 50bps) doing nothing much. It’s a big bank. It has next to no loan losses because it has no lending. Profits were USD87 million on shareholder equity of 3251 million. You don’t need a calculator – that is a lousy return on equity for a bank without credit losses. You might think that given that they have no profitability and no lending potential they might be returning cash to shareholders. Obviously you are new to Japan. Profits are 27 yen per share and the dividend is 7 (which they thoughtfully increased from 6). This bank has an embarrassment of riches – and nothing to do with them. The title of this post was “An American Mirror”. And so far I have not mentioned America. America is a land with little in deposits and considerable lending. There are similar lands – such as Spain, the UK, Australia, New Zealand and Iceland. There are also mirror image lands – 77 is our mirror image. We live in a world with considerable excess (mostly Asian) savings. Banks with access to borrowers made good margins because the borrowers were in short supply. Savers (or banks with access to savers) were willing to fund aggressive Western lenders on low spreads. 77 Bank has been the recipient of those low spreads. It has not been a fun place for shareholders as the sub 3% return on equity attests. The economics of 77 Bank (and many like it) will change if the world becomes short on savings. There is NO evidence that that is happening now – and so 77 Bank will probably remain a lousy place for shareholders. This is an aside really. We live in a world with an excess of savings. This is equivalent to saying that we live in a world with a shortage of (credit) worthy borrowers. So we started lending to unworthy borrowers – what Charlie Munger described as the “unworthy poor [whoever they might be] and the overstretched rich”. We know how that ended. Unfortunately the financial system cannot make worthy borrowers. It can only lend to them when it can identify them. This Subprime meltdown heralds the death (for now) of lending to the unworthy. The shortage of the worthy however is as acute as ever – and money for the worthy is still very cheap. The subprime meltdown does not solve 77’s problems. Why not start with big ideas. How do we get a grip on how big the mortgage crisis is and/or will be? 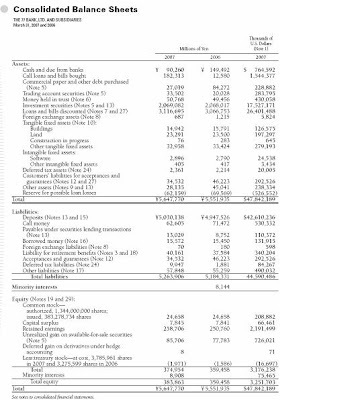 Fannie May guaranteed 2526 billion (source: 2006 Fannie Mae annual report). Freddie Mac guaranteed 1477 billion (source: 2006 Freddie Mac annual report). 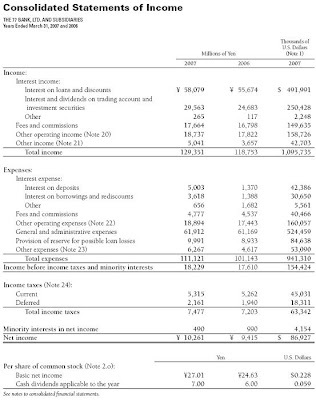 Ginnie Mae (ie the US Government) guranteed 410 billion (source Ginnie Mae annual). Veterans Affairs (also the US government) guaranteed 203 billion (source - notes to the Veteran Affairs report to congress). That adds up to 4616 billion which has a government guarantee or where the loss will wind up being Fannie Mae's or Freddie Macs (or the government when they bail out those entities). So there is 5238 billion to which the private sector is potentially exposed. So how big could the losses be? Well lets get really extreme - gargantuan extreme. Suppose 40% of ALL of these mortgages default - and that the loss given default is 40%. That suggests a maximum (non-GSE, non Government) loss of 838 billion. Its NOT going to be that large. In 2006 the pre-tax profits of the S&P listed financials were 420 billion - so the losses could be absorbed by two years pre-tax profits. Moreover many of the losses are offshore - and so they would be absorbed by non-S&P pre-tax profits. All this suggests that the problem is manageable from a system perspective. I ran this analysis past a friend of mine who made $4 billion shorting subprime debt. He said that I understate it because he was shorting stuff to European banks (and AIG!!!) and his gains were their losses. Losers losses could be larger than the system loss (as he -and some other smarties - have gains). Another way of looking at this was that there was about $1200 billion of subprime outstanding at December 2006 - and maybe $1.4 trillion of Alt-A (which was just less-than-prime). The losses on the subprime might be 60% default and 50% loss given default for $360 billion. (That is pretty extreme - a 60% foreclosure rate). The losses on the Alt A are not likely to be much more than 200 billion. Again you get to a number that is manageable within the pre-tax earnings of the financial system. What is odd here is that the market is already (at least with respect to secondary pieces) pricing this stuff roughly at this worst case. A typical sort of pricing is a piece of ALT A originally AAA rated strip priced at 80c in the dollar. The defaults will be higher than that - but lets suppose that they are 50% with a 50% loss given defualt. That is utterly extreme. Then the total loss will be 25%. The AAA strip will lose its protection (12%) and its next 13% off the top. But it is priced at a 20% discount. You will make money buying the strip here. It originally yielded essentially the treasury rate (it was AAA). However you are buying it at 80% - so it now yields 1.2 times the Treasury rate. You will also get 7% (or more) recovery on this. If the losses are less extreme you will get up to 15% recovery. So all-up you might get 4-5% more than the Treasury rate. Its cheap - but hardly exciting. In the old days it would be money-for-jam. Reason - you would borrow money to buy this stuff. Todays Problem: nobody will lend you money secured by this any more. So there are forced sellers - and no leveraged buyers. This is what is known as "waves of delevering". The only buyers are ones with huge excess cash (read Warren Buffett!) and even then he can afford to be selective. The question: when is it worth selling your liquid and easily priced General Electric stock to buy illiquid but pretty sure to earn you 9% problematic Alt-A formerly AAA rated securities? When I put it that way - its pretty clear that the market is mispricing the mortgages - but it will not be me who closes the arbitage. This is my first (serious) attempt at an investing blog. There are numerous out there - some good - some truly dreadful. I am a (semi) retired fund manager - but I can't seem to keep my thoughts to myself. So I have started this blog. The investing blog I most admire is Jeff Matthews - who - as his title says - doesn't make it up - except when he says he is making it up! If I can gather half the readers he does I will be happy. Now is the task: quality ideas that people want to read!